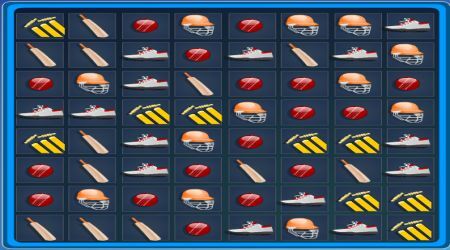 Line up three or more cricket items to release them from the board. You can line them up either vertically or horizontally. 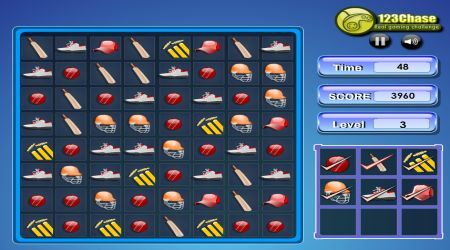 Clear up the required number of items before time runs out to win the current level. Click the square that you want to move then click any adjacent square where you want it to be placed using your mouse.